Today is election day in Bangkok for the new Governor. 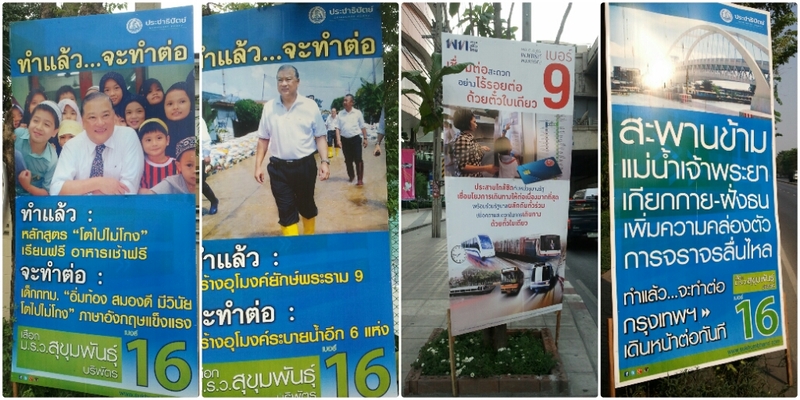 Over the past month or so the many candidates have been plastering the city with election posters and as the month progressed and election day got closer, the amount of space on the sidewalks for more signs got smaller and smaller. 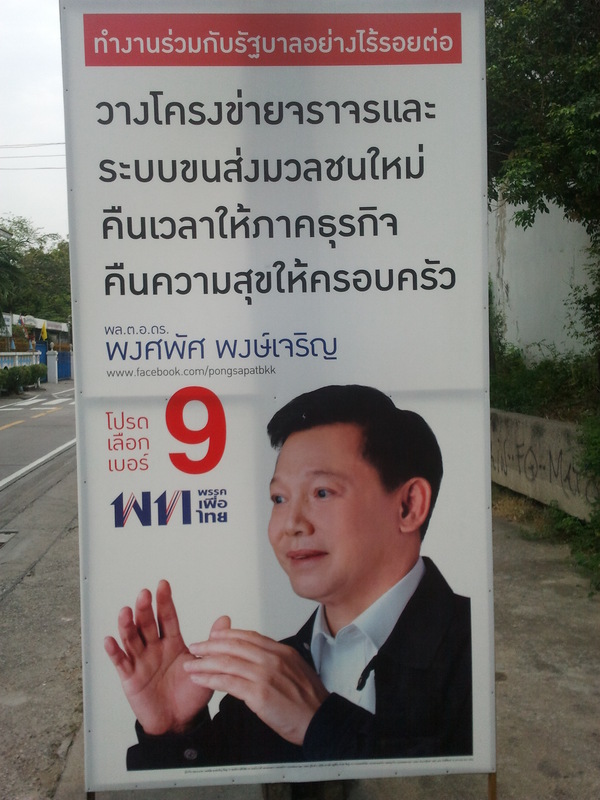 During most of the month the leading candidate has been number 9, Pongsapat. 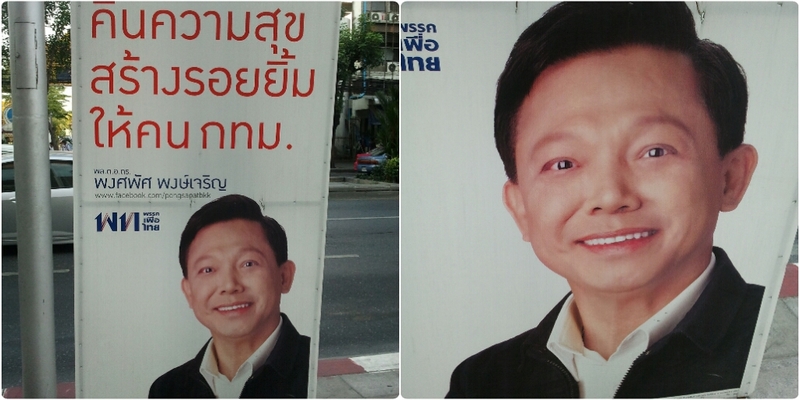 I have been finding it hard to believe that his campaign posters have been getting him votes because they are a little strange looking. I think he should have asked for less airbrushing, especially compared to a “real” picture of him here. The other main contender in the governor race is number 16, Sukhumbhand. He is the previous governor and clearly hoping for another term. If an election was won by how much you campaigned then I think he’d be a clear winner. He had the most campaign posters, and also the most variety in his posters. I can only assume he was either talking up what he did well with these posters or stating the key things he’s in favour of – bridges, children and yellow gumboots? Seems like politics has similarities everywhere!